For the past few years the Friday after Thanksgiving has become the day for us to get our Christmas tree. That probably has something to do with the fact that our son, Adam and his family are often here to help. Adam always does a great job of putting it up and stringing the lights. When he was younger I spent a lot of time training him on proper Christmas tree lighting so I figure I’m now reaping the rewards of my hard work. Ha! Charlie was concerned that some of the ornaments didn’t seeming very Christmasy. For instance, we have one ornament of a trolley car that we got when we were on a family trip to San Francisco 25 years ago. 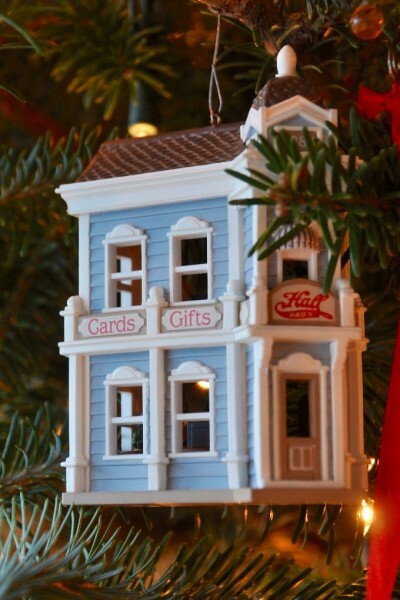 Charlie’s question was “What does a trolley car have to do with Christmas?” It wasn’t until after he left that I came up with a good answer, “Every ornament represents a friend, family member, or special memory. Thus, it’s a tree full of love and memories. True, they might not all point to Jesus, the reason for Christmas, but each one reminds me of a special gift from God that has been a part of my life. 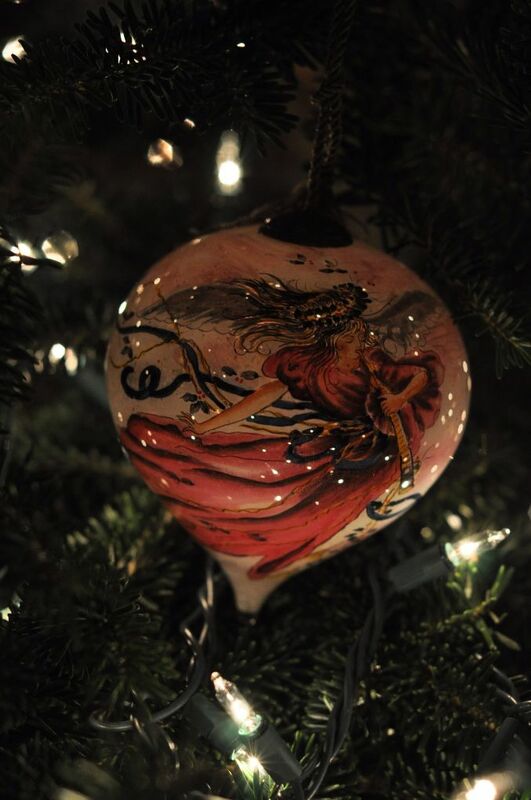 Of course, some of the ornaments have stories that I can no longer recall so I just have to assume it’s a good one. 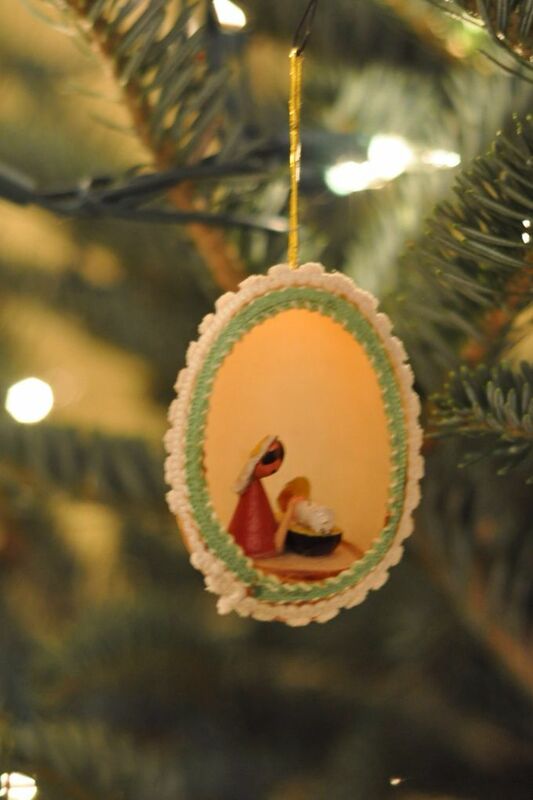 I thought I’d share just a few of my ornament stories with you. First off, the Hallmark store ornament was given to me by my mom in honor of my grandfather. My grandfather, whom I called Boppa worked for Hallmark for many years, starting in the mailroom and working his way up to Vice President. He had dropped out of high school after his dad died to take care of his family, but Mr. Hall saw in him the determination and intelligence to make a difference in the business. I was always very proud to call him my grandpa and every year when I see this ornament it reminds me of the times we spent together. 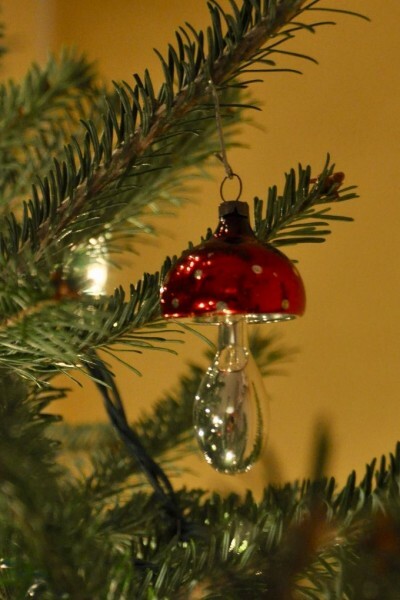 This next ornament came from my mom’s stash when she was getting rid of some of her ornaments and it definitely falls into the “has nothing to do with Christmas” category but hey, how many people do you know with a red and silver mushroom on their Christmas tree? I keep it because it’s quirky and makes me laugh. 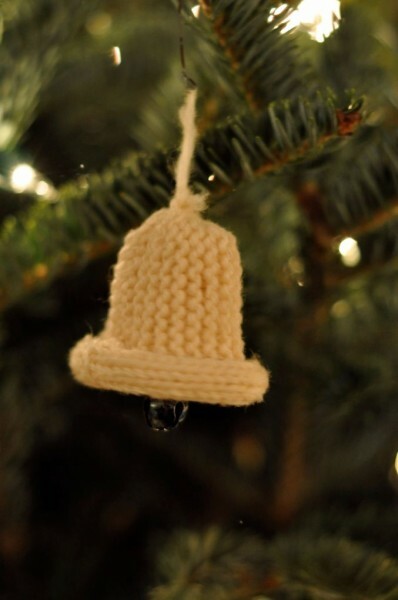 My grandmother Gall (my dad’s mom) knit a bunch of these bells in red and white (really, it’s not yellow, even though it appears that way in the picture.) She and my grandpa had a huge holly bush in their front yard and at least for a few years, they would cut a branch of it and use it as their Christmas tree. My grandma would decorate the tree with the red and white bells she had made and I thought it was one of the most beautiful things I’d ever seen. I still have a couple of the bells and I’ve passed down one to each of my kids to remember their great-grandmother by. When I was a little girl my grandmother Stevenson sent me a new ornament every year (at least I think it was every year). Anyway, I have two of these “egg” ornaments. This one with a manger scene and another with a ballerina (because I was very into ballet) but the ballerina has balance issues these days and I can’t seem to get her to stand on her toes in an upright position. Of course, she’s better off than I am–I don’t seem to be able to stand on my toes at all! I could go on for days telling you about my ornaments but I’ll end with just one more. Every time we go on a mission trip, visit a foreign country, or even just take a special trip here in America I pick up a new ornament. It’s not that I need more ornaments, mind you, (though I might benefit from another tree) I just like having the memory (and I don’t buy a lot of other mementos, much to John’s dismay). I also get one for each of our grandkids so someday they’ll have a bunch of memories from Nana and Boppa for their tree. Sometimes I have to be VERY creative when searching for ornaments because some places just don’t sell Christmas ornaments in March, and Muslim countries are short on Christmas stores (go figure). We brought this next ornament home from Russia several years ago. 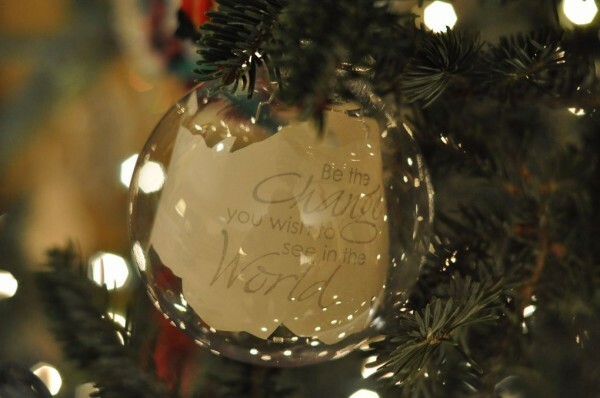 The orphans that we worked with there had made an ornament for every team member before we arrived. They were such sweet kids and I still remember the tearful goodbyes when we left them. The ornament in the picture at the top of this blog post was given to me by a friend who works with the mission organization we worked with in Russia. She made it for me one year and I love thinking of her when I put it on my tree. I hope you have lots of special memories hanging on your tree and they bring you as much joy as mine bring to me. My suggestion is to write down the stories now, before you forget. Just sayin’. 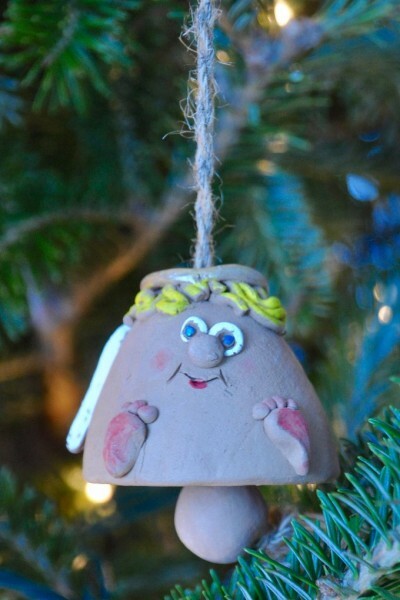 This entry was posted in My Everyday Life and tagged Christmas Tree, memories, ornaments on November 27, 2017 by Nancy. Loved your Christmas tree share. My tree has 2 clusters of my grandma Lukecart’s Bells… 3 egg ornaments of wizard of oz made by my sister & many homemade dough ornaments… plus a bazillion more beautiful homemade ornaments from years of our families annual ornament exchange. When my children left home they had a beautiful, priceless collection of roughly 15 years of ornaments. They truly are priceless pieces that keep loved ones close. There were years I left my tree up until mid January because it was so hard to put them away. My scarecrow, tin man & lion remain out all year on an ornament stand. Thank you Jesus for the precious memories! Amen, Dianne! So thankful for the memories! I had a few ornaments I wanted to crush this year. And I nearly did. They just made me sad. But rather than impulsively do something I couldn’t undo I phoned a friend. She suggested I hide them on the backside of the tree because sometimes things need to become hidden things that can use hiding time to transform into something sweet. She’s a pretty wise friend. This worked well for 28 hours. Then my children knocked over the tree and the backside became the topside and things came out of hiding. In case you’re wondering, 28 hours of hiding was not enough time to sweeten those ornaments. I hope by next year they are ready to return to the front. I’m sorry you have some bad memories on your tree but I think your friend is wise in her suggestion. Sorry to hear about the tree topple. We’ve had that at our house, too. Never any fun.